Wedding Solutions, Best Wedding Planner Bangladesh, is a full service wedding planning and Coordination Company. We love to make you special. Our each work and creation is unique for every couple. With our personalized style and approach, we help bring your vision to life while keeping you in mind as bride and groom to-be! From the moment clients engage Wedding solutions services, an event planner works with them every step of the way from one-on-one consultations to pre-event site inspection to day of event management, every detail right up to the departure of the last guest. Whether clients desire to take an active role and guide the production process or prefer the Wedding Solutions team to WOW them with a creative approach to the preferred vision, the team will eliminate worry and frustration from the equation. The team at Wedding Solutions takes their role as professional event planners seriously. To ensure peace of mind, staff is available to address concerns and questions 24 hours a day, 7 days a week. We have changed the trends of wedding events in BANGLADESH by introducing new ideas and creativity. A group of highly talented and creative young person is always dedicated to provide the very best quality, elegant and classy services. We opened a brand new door for you. We say it " U imagine…….We'll make it happen". "Wedding Solutions" is a full wedding events management firm operating by some very young creative professionals. WS covers almost every sector of wedding events. WS is a group of 5 creative wedding specialist photographers and a learned group of associate photographers , 2 interior designers, a music composer and lyricist, a professional drama director, an assistant cinematography director, 5 creative master cinematographers, 2 creative stage and art designers. WS runs under the supervision of a creative head and a CEO. We introduced a "CREATIVE DEPARTMENT" for simple, classy yet elegant wedding planning. our creative department is designed with some very efficient, talented and creative young ladies. we make plans, create concept & theme, designs and implements the innovations for the photography cinematography and decorations for wedding. creative department leads by a creative head, MS. Tajalli Binta Salam. 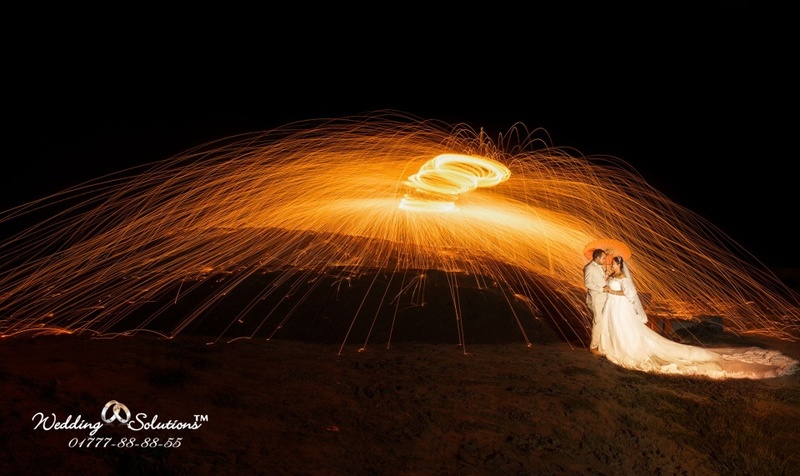 Check Out Wedding Solutions Profile at BD Photographers. You can watch my portfolio and you can hire me for your events. I have been awarded by several international awards from several countries. My photographs have been published over than 200 international media.